I hope all is well. It has been a while since I updated this site. I am sorry and I have been burnt out. The 2018 Christmas display show physically and emotionally took everything out of me . During 2018 I spent countless hours in the development and technical aspects of the display. Between challenging weather and technical problems I became overwhelmed.... and by the time I took the display down I was spent. I have been trying to relax and have been thinking about what I want to do or not do for 2019. I know the display has become a tradition and joy for so many people and that touches my heart. I also know I can't habitually burn myself out or I will not be able to physically be able to continue to provide this display. I am trying to make sure I take good care of myself. I hope that you will keep me in your prayers as I try to figure this out. Enclosed are pictures and video of the 2018 Making Spirits Bright Christmas Display I hope you enjoy them. For all of those that have never been to our website WELCOME to Making Spirits Bright home of the Stepp Christmas Display Show located in the city of Hilliard in Columbus, Ohio. 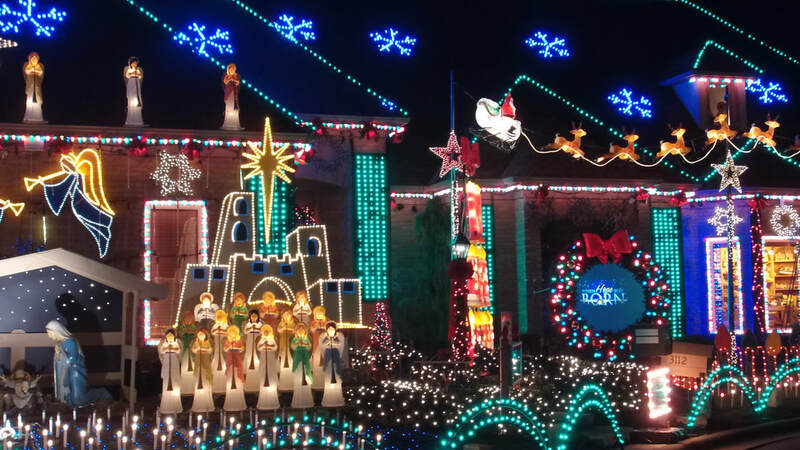 This is an annual event where lights and music are choreographed with Christmas scenes . Our hopes is to create a wonderful Christmas memory for you and your loved ones. Our display features video, a nativity scene, flying Santa and his reindeer, a mailbox that your children can send their precious letters to St. Nick, a talking reindeer, a virtual Santa , an animated Lazarus/Macy's window scene where a toymaker falls asleep and 15 of his toys come to life. We also have a computerized Christmas Pixel tree that until you see it in action you can not explain the beauty of it. Our display features over 40 songs where lights "sway"to music" through computer -controlled programming. The music is piped outside into our yard and is also broadcast over an FM frequency so you can stand outside and experience the display or watch the show in the warmth of your car. This "light show" concept was first introduced to our display in 2011. For 2018 we will use over 300 computer controlled lighting circuits, including Light-O-Rama protocols to animate the display to music and DMX protocul to control thousands of pixel lights. Please feel free to browse our website and visit us at our facebook page at Bill Stepp Making Spirits Bright for updates for our show for the Christmas season 2018.